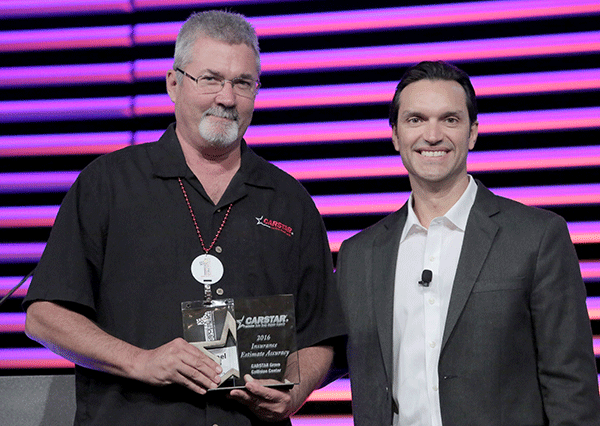 CHARLOTTE (July 10, 2016) – CARSTAR Auto Body Repair Experts shop owners gathered recently in New Orleans for the annual CARSTAR Conference, where the top performers from across the United States were honored. In today’s market, meeting the high demands of the insurance industry is essential to the success of any shop. CARSTAR has invested numerous resources to not only increase the number of direct repair programs (DRPs) to its growing network, but also assure that individual shop owners have the skills, resources and training necessary to meet and exceed the benchmarks set by the industry.